What is it about Bollywood that despite all the criticisms that it receives, we tend to perceive or aspire our lives to what is being shown on the screen. Like seriously, I was wondering what is so new about these new age love stories like Befikre? Isn’t it all the same funda about living happily ever after? You don’t need to think twice about what the climax would be? With just a little suspense, eventually the protagonists get married. (And there I was expecting them to be in a live-in relationship forever). Even in a theatrical master piece like Tamasha, the tale ultimately ends with Deepika getting back with Ranbir. Is getting back together the ultimate success of any relationship? Many within us, who probably criticize Bollywood’s naïveness in terms of depicting love stories, probably subconsciously agrees to what is being shown on screen. Simply put, if we are to define what a successful relationship is, a majority would put marriage as a certificate to the attainment of the ultimate goal. So, when we say, what is so new age about love that is shown by the silver screen, it’s just probably the approach. The climax is still the same. It’s worth wondering, what is dating all about? Especially when you are in your early and mid-20s. It’s too early to probably to think about settling down, but you are little too old to just fool around. That’s a bold statement to make since some of my classmates have already gotten married. But as I keep watching these movies, I have seriously started wondering about the ultimate consequence of dating a person. Many within my circle, including me has dated more than one person. There are memories with each person we spend time with. But if today, I am asked, which one of my relationships have been a successful one, I don’t think so I will probably have an answer. Most of us know what happened in the movie Cocktail or in the movie Love Aaj Kal or in Break ke Baad. All these new age movies ultimately had nothing new, right? So, whenever I sit back, thinking about what an ideal relationship is, the obvious answer that these movies have conditioned to most us is ‘staying together’. I am quite popular among my friends for my horrible taste in movies. But this doesn’t mean that I don’t have the mental quotient to critically appreciate movies which people with ‘good taste’ appreciates. So as I walked out of the hall watching La La Land, I probably found one answer to what a successful relationship is. So, what I figured is that, it’s just like our literature question paper where we have a phrase from a poem to elaborate and explain. And we all have a different perception to that stanza. But what we write in the answer sheet is probably a mugged-up version of what certain study guides have. Bollywood as of now, was that study guide for me. 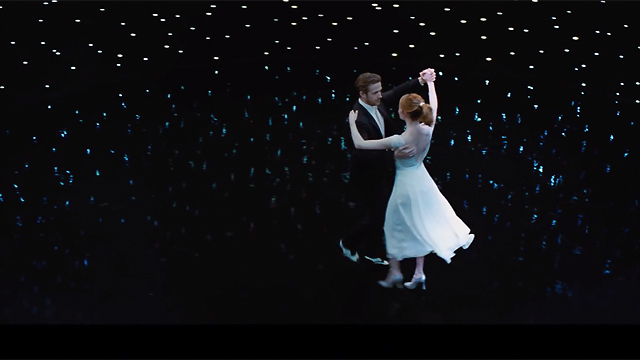 If we compare La La Land very carefully with our Bollywood movies, there are stark similarities. The protagonists turning back, romantic consolation, fights, stark confrontations. But what was different was the perception of love. Also, do note that I am not at all talking about technicalities here, it’s just about the perception. If you also happen to wonder what a successful relationship is, do watch this movie and contemplate. I won’t give away spoilers. But a successful relationship is the one, that helps you achieve your goals. It’s not just about staying together, it’s about being happy and achieving what you aspire. For most of us, Bollywood is the answer, but when you are at a phase where your future, personally and professionally is uncertain, one should look for alternate meanings of what is being shown on screen.